alkmaar soap Which is a creamy body wash that smells like Jasmine. Aqua mirabilis is a body butter. Aromaco is a deodorant. I actually can't stand the smell. It has a very strong stench to it. I'm hoping I can get to like it but as of right now I'm not sure of it. Dream Steam tab is just suppose to clear your skin and stem away any impurities. Let me know if you've tried any of these and what products you recommend me checking out for any future purchases. 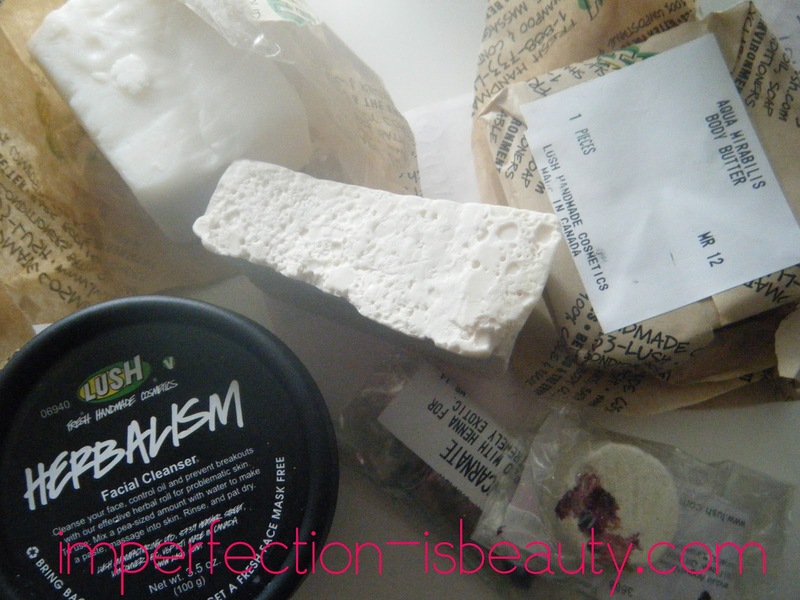 Also if you have ordered from lush how do you store your products? I know they have tins you can order but for the deodorant, and the soap they didn't have anything storage wise.